Do you need an attorney to collect a debt concerning goods you have sold to another party? Do you need a loan collected from a defaulting borrower? Do you need assistance with foreclosure remedies associated with real or personal property? The business attorneys of The Williams Firm located in Walnut Creek, California, aggressively collect debts arising from all manner of transactions, and defend debtors and borrowers. 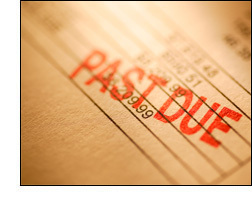 The debt collection attorneys at The Firm all have experience working in large law firms. They now bring their years of experience to clients to help them find creative legal solutions to their collection concerns. To discuss your business’ legal needs concerning debt collection matters, contact a debt and loan collection lawyer at The Williams Firm.